I am a BIG fan of Canvas Prints and have several all over my house. I love the way they look and I love how they make my pictures pop! 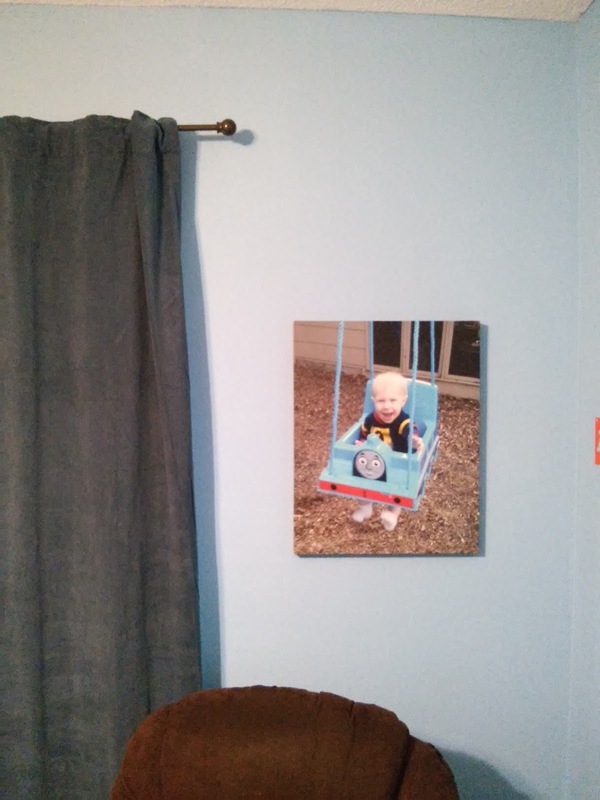 My latest canvas print is from Canvas Champ and I absolutely LOVE it! It is one of my favorite pictures of my son and is now displayed proudly in my son's room! Canvas Champ offer canvas prints at low prices but don't sacrifice quality! They are so confident of their rates that they have what they like to call the “BEST PRICE GUARANTEE” meaning they will match any published price on the internet and give an additional 10% off it .The only thing Cheap in a Canvas Champ print is the price. All products are handcrafted by experienced and skilled artisans with a lot of love and passion. Plus, they offer a wide range and variety of hanging and framing options for all your custom canvas prints. You can easily take your pick for the one that matches your unique taste. Canvas Champ worked with me to make sure my print was great quality and helped me pick a picture that would display well! My 16 x 20 canvas print turned out great and I am so happy to show it off! You can purchase Canvas Prints starting at $9.98 from the Canvas Champ website. Canvas Champ is generously offering (1) 10 x 8 canvas to a lucky winner! I entered the scotties $25 VISA giveaway.